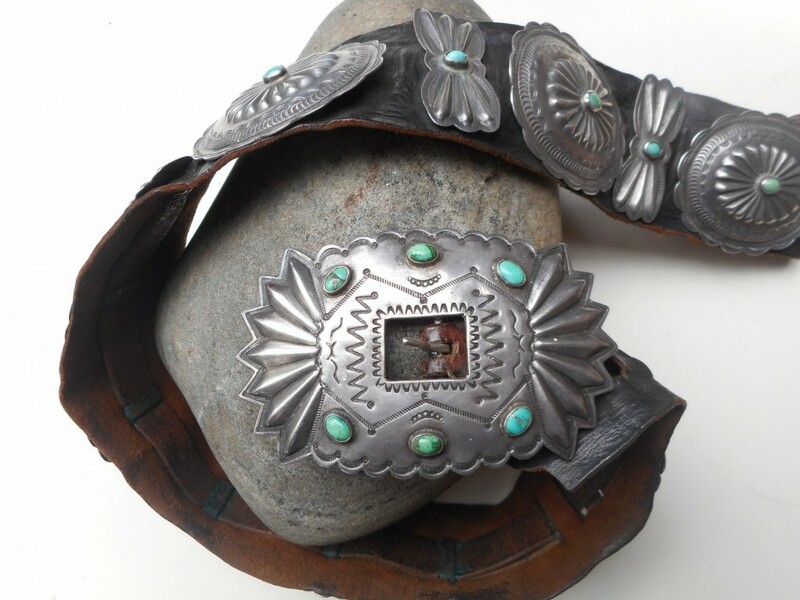 Beautiful buckle on this great sterling silver concho belt. 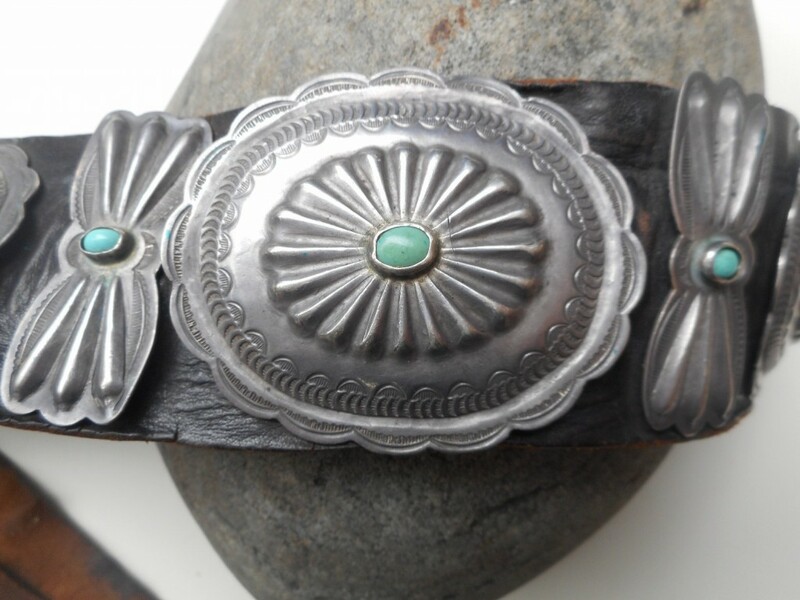 Buckle is repousse and stamped and set with six 6mm oval cabochons in plain bezels. 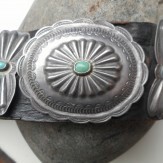 There are seven repousse and stamped oval conchos, each set with an oval cabochon of turquoise. 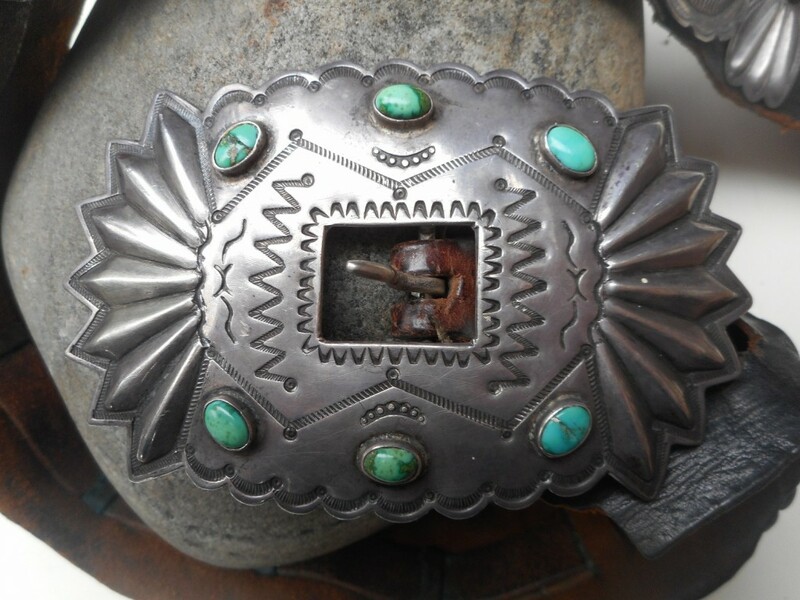 There are also six "butterfly" conchos in the same style. 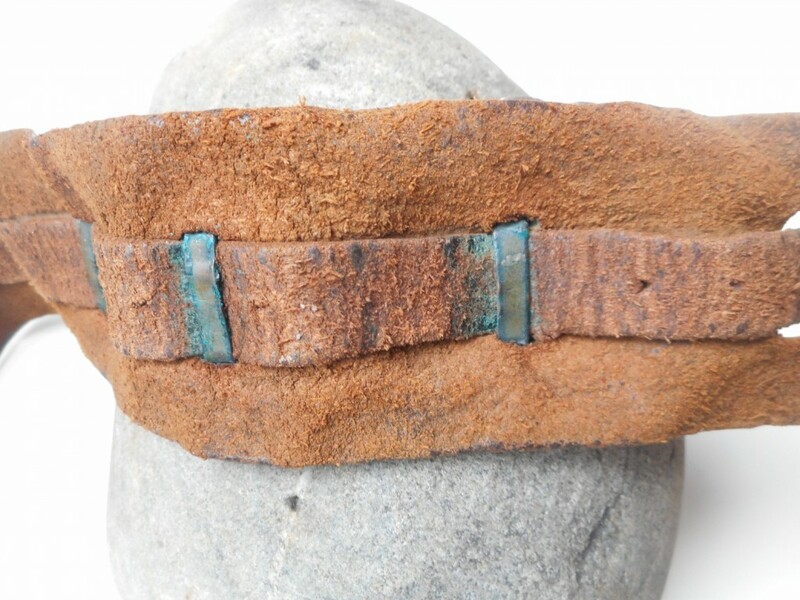 All set on an early leather belt. 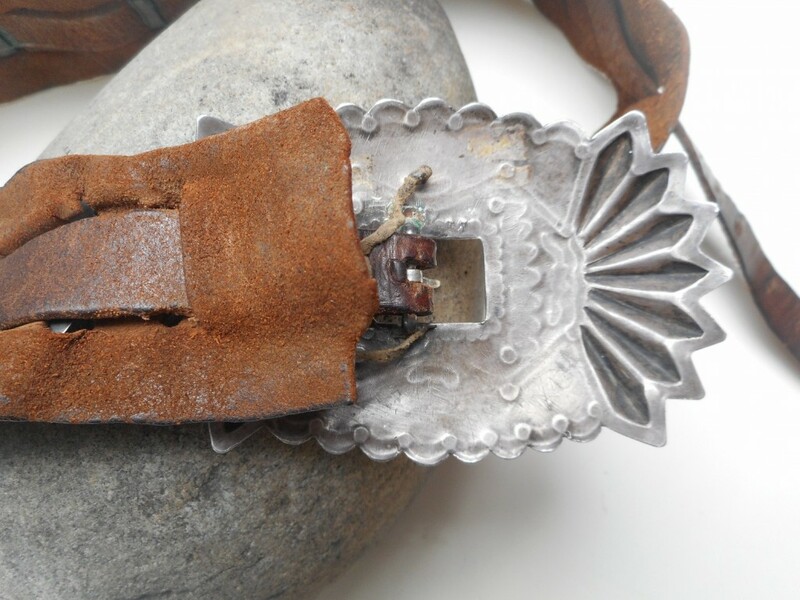 A stone has been replaced in one of the conchos, see photo. 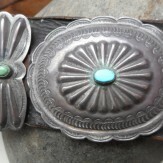 (the turquoise in all but the one concho and belt is green; the replaced is blue) The belt is a size 35". 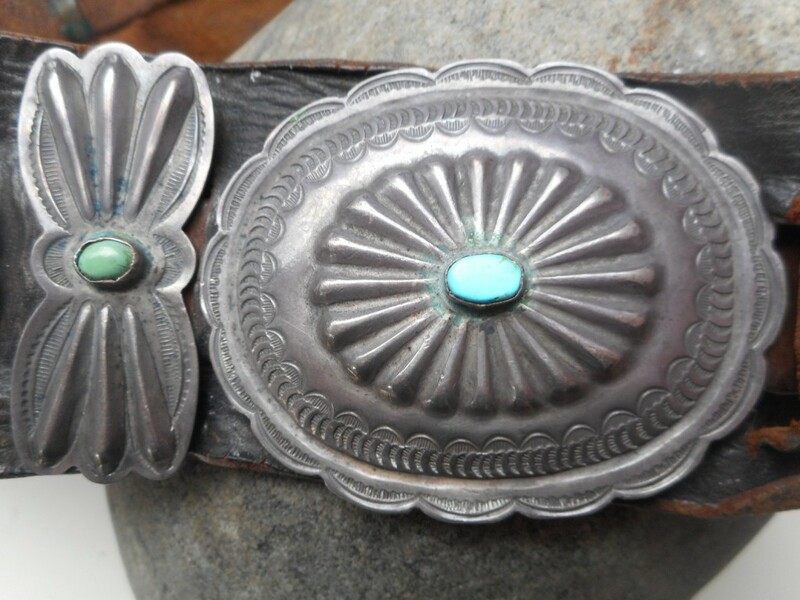 The buckle measures 4.5" by 2 7/8". Each oval concho is 2.25" x 2.75"; each butterfly concho is 2 1/4" x 7/8". Gorgeous fabrication! circa 1940. Size: The belt is a size 35". 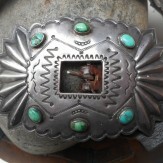 The buckle measures 4.5" by 2 7/8". Each oval concho is 2.25" x 2.75"; each butterfly concho is 2 1/4" x 7/8".